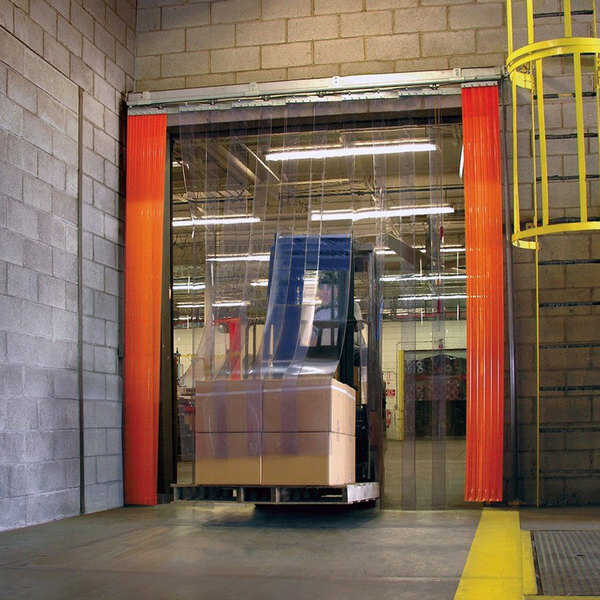 Segment your industrial areas while accommodating light traffic with the Curtron QSD-12-67-UM-144X144 industrial series strip door! This strip curtain features enough surface area to cover an opening 144" wide and 144" high, and the standard grade PVC strips provide excellent insulation and protection from wind, dirt, and contaminants while muffling noise. A mounting bar lets you set up wall or in-jamb installation, and mounting brackets, orange safety end strips, and hardware make installation easy. The whole door has 4" of overlap between each strip. For protection from extreme weather, this durable strip door can also withstand temperatures between 0 and 140 degrees Fahrenheit.